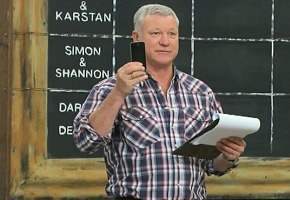 Controversy on The Block helped drive Nine’s reality show to its best figures this season -1.64m viewers. NSW brothers Simon and Shannon were accused of “the biggest scandal in Block history” for secretly recording the judges by leaving a phone under their bed. Simon, who admitted it was his idea, explained he was trying to get some further feedback but has in turn accused producers of overplaying the moment for ratings. While the show’s biggest scandal was arguably the year 3 of 4 homes were not sold at auction (yes Richmond, we remember), it nevertheless played into Nine’s hands with bumper ratings. Nine network won with 32.7% then Seven 29.2%, ABC 16.9%, TEN 16.7% and SBS 4.6%. Following The Block for Nine were 60 Minutes (1.26m), Nine News (1.26m) but a 2002 movie: Die Another Day (418,000) limped home shedding far too many. Seven News (1.18m) was best for Seven then The X Factor (1.12m), Sunday Night (888,000) and Castle (493,000 / 282,000). ABC News (834,000) topped ABC followed by ANZAC Girls (758,000). Doctor Who scored 710,000 in primetime but another 148,000 were keen enough to view it Live at 4:50am AEST (it was also on iview throughout the day). Compass was 433,000 and Midsomer Murders was 396,000. A Utopia replay was 244,000. Once again TEN could not rise about the 500,000 mark with 3 x Modern Family at 481,000 / 407,000 / 382,000. A first run movie: Ice Age: Continental Drift was iced at 460,000. TEN Eyewitness News was 432,000, Formula One was 314,000 in 3 cities (113,000 on ONE). A big problem seems to be the lack of competitive content at 6pm with a Bondi Rescue replay at just 249,000. On SBS ONE it was Alexander’s Lost World (281,000), SBS World News (206,000), Searching for Sugarman (125,000) and United States of Secrets (98,000). Peppa Pig at 254,000 / 236,000 ruled multichannels. OzTAM Overnights: Sunday 24 August 2014. Thanks for providing the F1 figure on One. I watched Searching for Sugarman on SBS last night for the first time. I know it was on SBS where numbers aren’t usually that great, but I thought it would get a little more, considering it won Best Documentary at the Academy Awards 2 years ago. So happy once again the block is beating the X-factor 🙂 the ratings say everything for themselves. Time for a big makeover, I personally don’t think the talent is that great this year at all. I’m officially over Modern family. The amount of times I have seen the same eps they are now the annoying family. I have noticed lately how TEN is bumping up their programming by showing movies more. I do like movies though when nothing else is on, the Mrs and I watched Never Been Kissed the other night on TEN and I watched Die Hard 4.0 as well, and Charlie and the Chocolate Factory on 9. Was looking forward to a late movie on TEN last night but the F1s were on. And when did Nine pick up the rights to the Bond movies? As Seven had them for a while previously. Sorry but I thought Peter Capaldi did a great job, the first ep of a new Doctor is always awkward. The story was ok with a few plot hole but trust me it gets much better in coming week with some very interesting stories, I’ve been told. Spoliers! Agree with @Aussiecam58 about the new season of Doctor Who. Yes, very lacklustre and tired – did not live up to all the hype. Peter Capialdi was good but couldn’t save a poor plotline. TEN tried it there last year. I doubt it would get the kind of numbers it is getting later in the week. I mentioned some time ago I had concerns TEN was heading into post-Masterchef without a stripped reality series for the third year in a row. Needs better planning and investment. I watched Dr Who and to be honest l thought it was very lack-luster. The new who looked and the show looked tired. Not a fan at all. Ten needs a new programmer. What’s with the stations these days. They are going back to showing movies on a Sunday???? Have to agree the X Factor is superb this year, the production numbers are great as is the talent pity its up against the block which I don’t like anyway but that is just me, so over renovation programmes which go on night after night after night for months at a time, boring. Xfactor…wow. It is easily the best TV singing contest on TV. Real talent and fantastic TV production values. Not a wrap for Red Foo or Dani. Is there any chance it will be “rested” next year? If it does go around again then the judges and possible host will change? X Factor talent is good this year, but getting pummelled by The Block. Second Sunday in a row that I haven’t bothered to turn the TV on. Why is TV so boring and rubbish at the moment? 3 repeat Modern Family in a row is desperate programming. There is enough quality US and UK programming to plug the many holes in the TEN schedule.